MTG has increased its stake in eSports business Turtle Entertainment and has announced that it will write-down the value of Zoomin.TV by SEK169 million (€16.4 million) in its Q3 results. In a statement released Friday, MTG said that it has paid roughly SEK152 million (€14.3 million) to up its stake in Turtle Entertainment – which operates the ESL brand – from 74% to 82.48%. 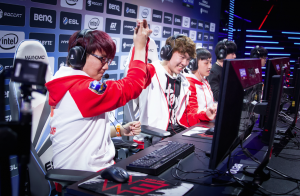 Discussing the Turtle Sports move, MTG CEO and president Jørgen Madsen Lindemann said that the company was pleased to increase its ownership in the business, describing ESL as a “fast-growing global brand”. At the same time MTG said it was writing down the assets of its online video network Zoomin.TV after a thorough review of the business. This came after MTG upping its stake in Zoomin.TV from 51% to 100% in May. MTG acquired the outstanding 49% of Zoomin.TV from founders Jan Riemens and Bram Bloemberg’s Adversa Media Groep, paying a cash consideration of €6.2 million and settling Adversa’s €11.3 million of shareholder loans to the business. MTG meanwhile acquired its 74% majority stake in Turtle Entertainment in 2015. The company operates tournaments such as ESL One and the Intel Extreme Masters, and online leagues such as ESL Pro League. As part of the new Turtle transaction, the previous 2019 put and call options have now been replaced with a put option for the minority owners to sell their remaining shares to MTG from July 2022. Digital video, eSports and online games are the three major pillars of the new MTG, following the decision earlier this year to spin-off Nordic Entertainment Group as a separate company. NENT Group – which includes platforms Viaplay, Viafree, and Viasat, as well as NENT Studios and a number of TV channels in Sweden, Norway and Denmark – has operated as a separate company from MTG since July and is due to be listed in the first quarter of next year.